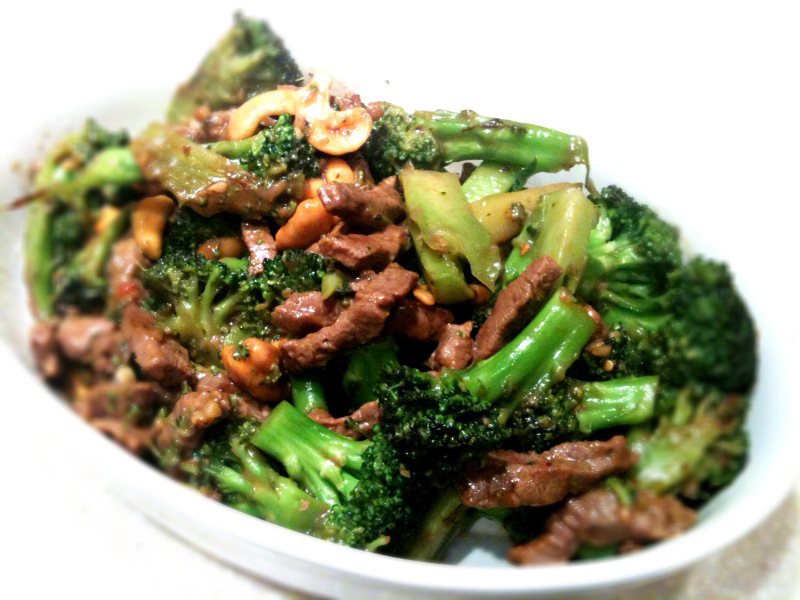 Definitely not one of my best, the recipe needs more flavor, it was pretty bland and flat, so I am on a quest to find a better Broccoli Beef recipe, share if you have one that’s flavorful! Prepare the beef: In a small bowl, stir together the soy sauce, sugar, salt, add the beef and let it marinate for 20 minutes. Put 3 tablespoons oil in stir fry pan or wok, add ginger root, garlic, fresh red chili, and broccoli. Finally add beef and cook until meat is ready. Serve with rice.